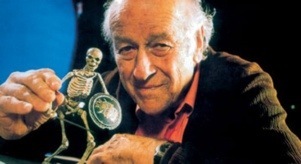 It’s hard to emphasise just how important Ray Harryhausen was to my wanting to be involved in films when I was growing up (arguably something I’ve still not managed to do completely). He seemed to be exactly what I wanted to be, a very important cog in the machine…yet still behind the scenes, almost anonymous. And he got to work with dinosaurs all day. I loved dinosaurs as a kid (I had those 2 inch puffy stickers on my bedpost of what artists in the 70’s thought dinosaurs looked like, which was always more interesting than the way they’re rendered today) and, of course, I loved King Kong, fascinated by the movement of the character, the threat, the power, the size, his amazing white, beady eyes. I can totally see why Ray was so affected by it. I then noticed the incredible creatures in Ray’s films. 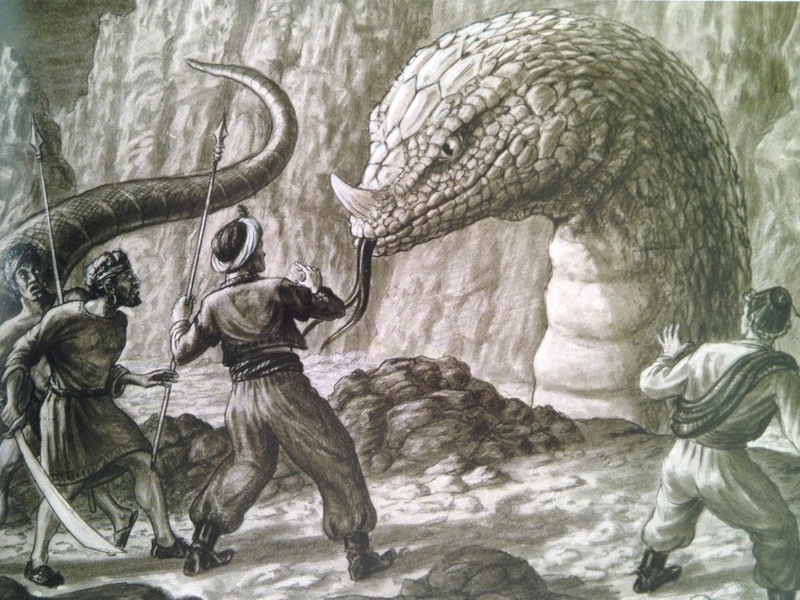 I loved the wild, hissing, feral dinosaurs in One Million Years BC, the bizarre creatures in the Sinbad films and Clash of the Titans and was totally enthralled when I eventually got to see The Valley of Gwangi ( I remember being heartbroken that the BBC were going to show Gwangi one Sunday afternoon – which excited me all week – only for it to be cancelled and replaced with some stupid comedy at the last minute. It was years before I caught up with it finally). 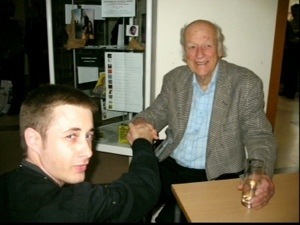 I finally saw him in Bristol at the Watershed when he did a talk with the great animator Bob Godfrey. The conversation turned to employment when Bob said that success had meant he could employ more animators, camera operators, colourists and staff. “How many people did you have working for you, Ray?” Bob asked. “Just me,” he replied, meekly. That’s the thing. He did it all, designed the creatures, animated them, re-photographed them, often co-writing the story and, later, co-producing the films. They wouldnt have existed without him. It didn’t go to his head. He remained humble, quiet, even a bit reserved about it all. I didn’t get to meet him that day but I wished I had. Within a year he was back at the Watershed promoting his first book in 35 years, An Animated Life. This was the book I wanted all along! Resigned to the fact his art was influential but technically passé, he emptied the archives and spilled the beans on how he did it all. It’s one thing to see art that fascinates you when you don’t know how it was achieved, but to be shown the amount of effort it took to produce that art…well, your admiration goes through the roof. One man did all that. So I finally got to shake his hand, I was happy. He was a gentle, slow moving chap, but that was almost expected having spent so much if his life thinking and living one frame at a time, imagining the bigger picture as slowed down to 24 movements a second. 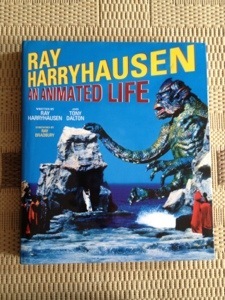 My favourite story of Ray’s was that, as a young man, he had built a multi layered model set for animation with several sheets of glass with intricate illustrations of foliage painted upon them separating the layers, making the forest look deep and lush with vegetation when viewed from the right angle. Building the set started to annoy him and, when some final issue confronted him, he flung the hammer he was using on to the studio floor in frustration…and watched as, in slow motion, it bounced off the ground and through the elaborately painted sheets of glass. He said he learnt patience that day and vowed never to lose his temper doing something he loved again. I often think of that doing what I do. Which is, thankfully, sort of in the same field. I regularly have to edit things I’ve filmed and key frame things. It’s not on the same level at all but it’s meant I’ve had to do tiny bits of stop motion in the past for various projects. I was quite pleased with the way they came out (they resembled Bagpuss more than Bubo) and decided not to prod good fortune with a stick any further lest I come away disappointed! Amazingly, in 2008, I was at a revival cinema in London watching Captain Kronos Vampire Hunter (!) when Ray just appeared in the lobby. It was a Hammer film revival event and Ray did work on a (different) Hammer film years earlier. But he wasn’t linked to this film at all. Unannounced, he appeared and sat in the lobby with a drink, shaking people’s hands and signing things. He asked for no money, wasn’t plugging anything, he just wanted to say hi. The screening’s organiser, Don Fearney, who had gone out of his way to fly in the film’s stars Horst Jansen, Jon Cater and Caroline Munro all together for this reunion couldn’t believe that he’d caught an even bigger fish by accident and was as thrilled as everyone else to see him. So I met him three times. And wrote to him twice. And possibly phoned him when I discovered a ‘R.Harryhaysen’ [sic] in a London phone book (no-one answered, I hung up thanking my stars as I’d have probably died of nerves). And they say never meet your heroes. Why not, I say, if they’re this charming?